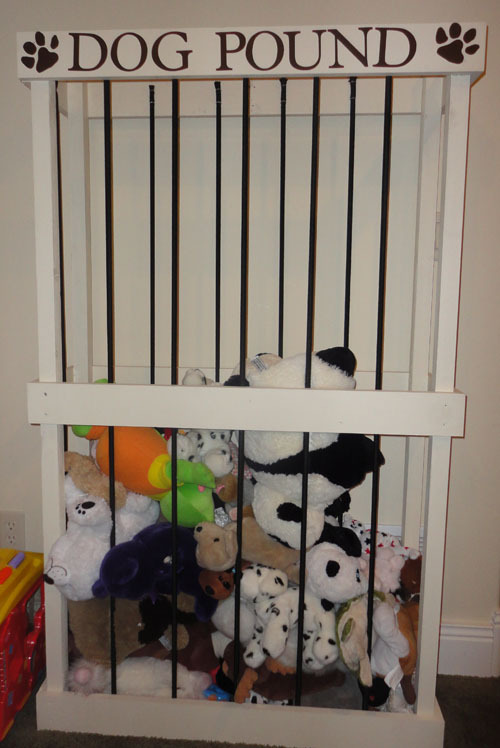 I have always struggled with the idea of organizing stuffed animals. J5 is obsessed with dogs and horses and anything else with 4 legs so we have TONS of stuffed animals. I was delighted to come across this idea of using bungee cords to keep the animals corralled. And better yet, it was a breeze to make. 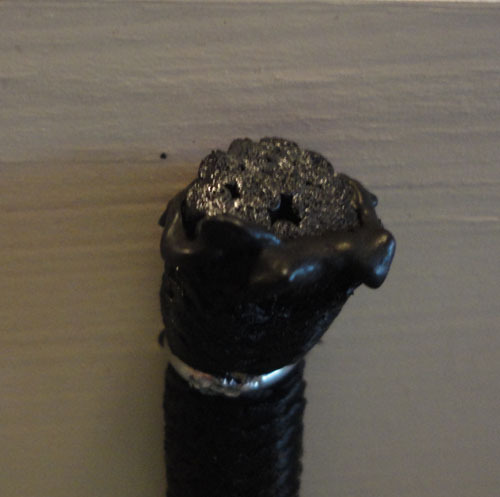 The only real trouble I ran into was finding the shock cord for sale by the foot. 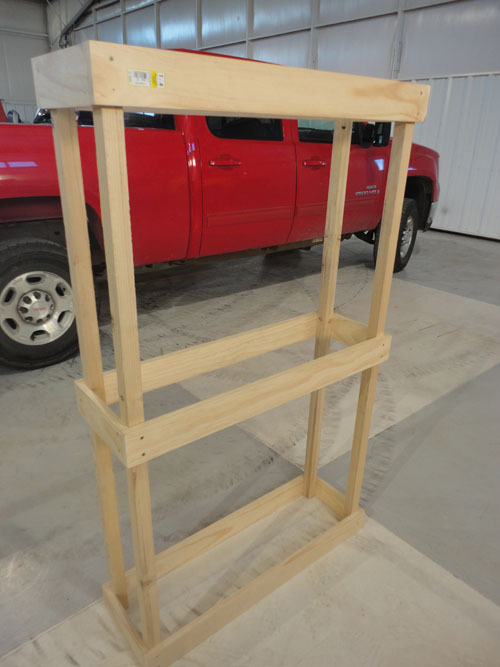 I tried to buy it at Home Depot with the lumber but the guy who was “helping” me didn’t understand what I wanted, so I did the next best thing and bought it from Amazon. We used a bit of paint we had around the house and everything else came together in a snap! 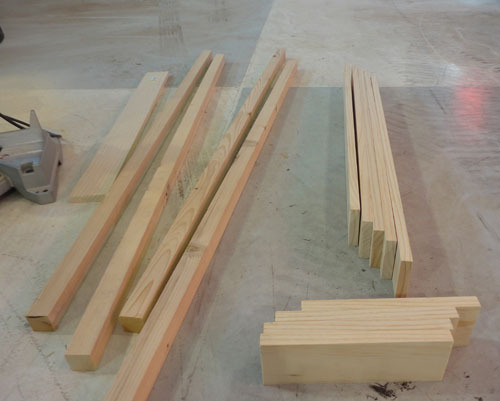 You will find different grades (quality) of lumber available. 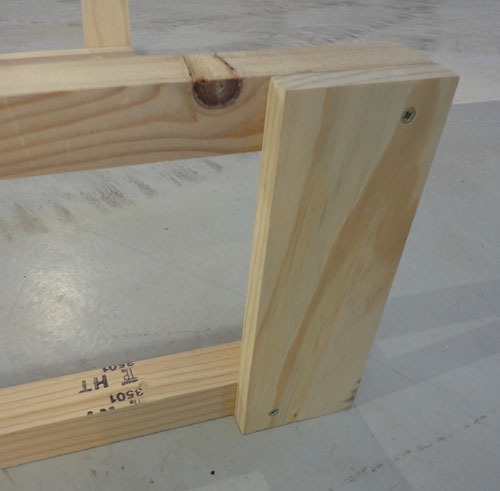 We chose to use the more expensive 1×4’s to ensure they were of high quality. Less expensive grades will require you to be more selective (choose pieces that are straight and smooth) when purchasing but can save you some money. 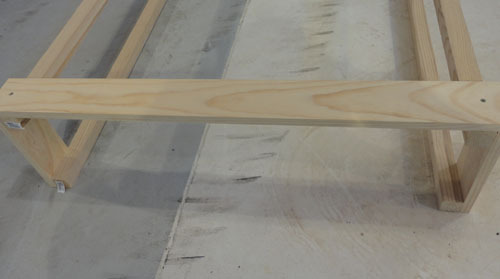 I recommend you pre drill all screw holes to avoid splitting the boards. 4- Using 1 ¾ inch wood screws attach side rails “c” to corner posts “a” at top, center, and bottom forming the narrow sides of the box. 5- Using 1 ¾ inch wood screws attach front and back rails “b” to corner posts “a” at top, center, and bottom completing the shape of the box. 6- Paint the box. 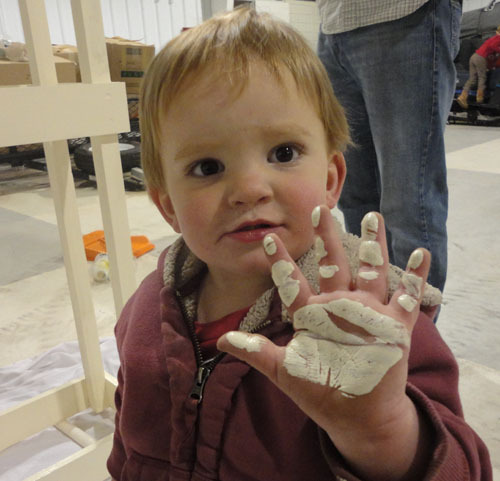 Remember to start on the inside to avoid reaching over wet paint. Keep two year-olds away from project until dry. 7- After the paint dries you are ready to attach the shock cord. Mark the location of the cords starting at the center of the top and bottom rails (front and back). 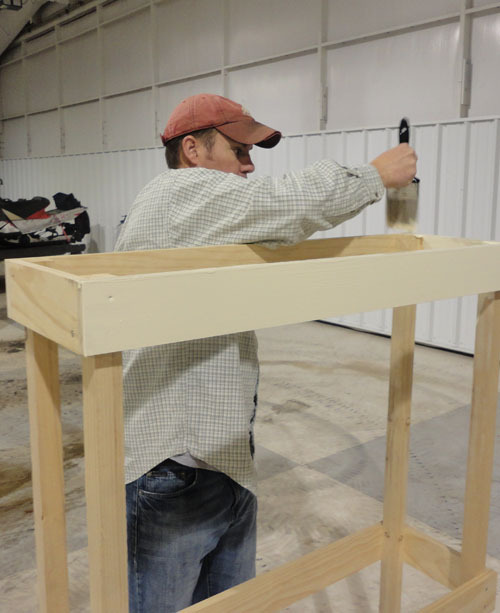 Make additional marks to each side of center spacing every 5 ¼ inches (when finished you will have five marks each on the top and bottom rail of the front and back). 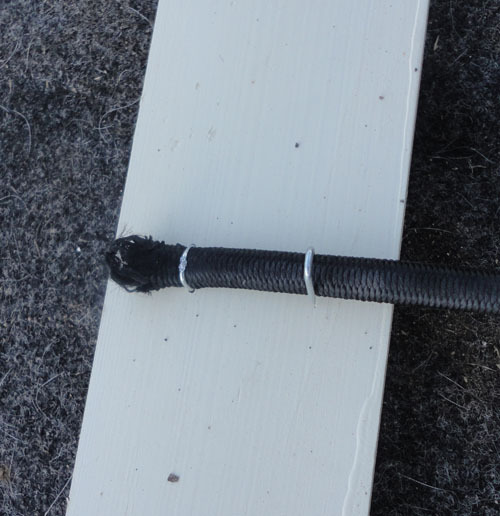 8- Attach shock cord using 2 – ¾ inch staples. Attach one side of shock cord. Cut cord approximately 48-50” long. Stretch tightly and fasten to opposite side. Repeat with remaining 12 cords, 5 each on front and back, one on each side. 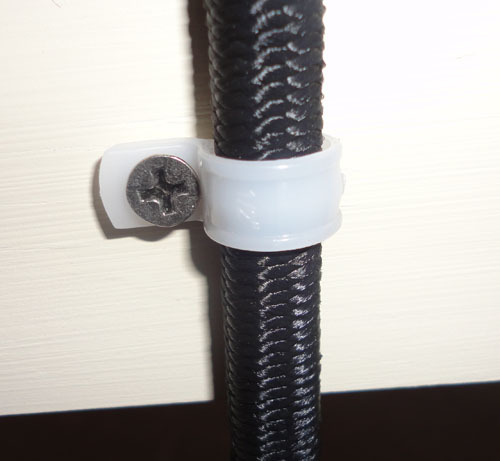 9- Using plastic cable clamps attach each piece of cording to the center rail. 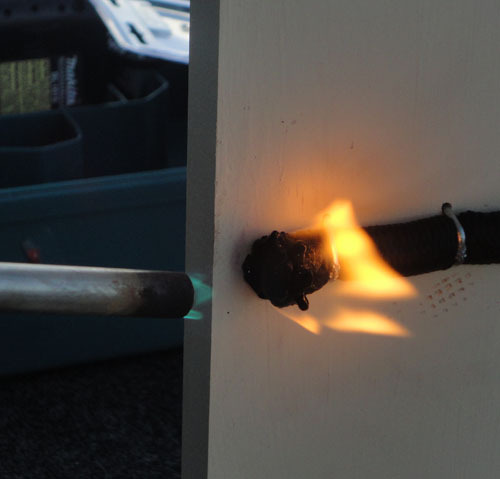 10- Using a lighter or a torch singe the ends of each cord to prevent unraveling. 11- Using vinyl or paint give your cage a title. 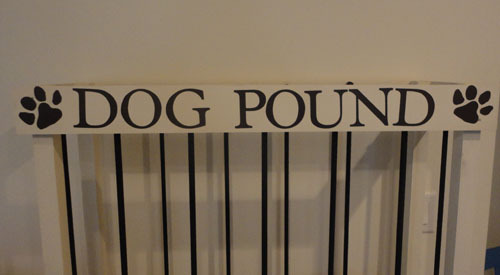 We called ours the Dog Pound as our lives revolve around dogs more than anything else! 12- Mission Complete! I was really amazed at how many stuffed animals this thing actually holds. I thought we had SOO many animals it would be full but we didn’t even make it half way. Let me know if you have any questions about the directions!